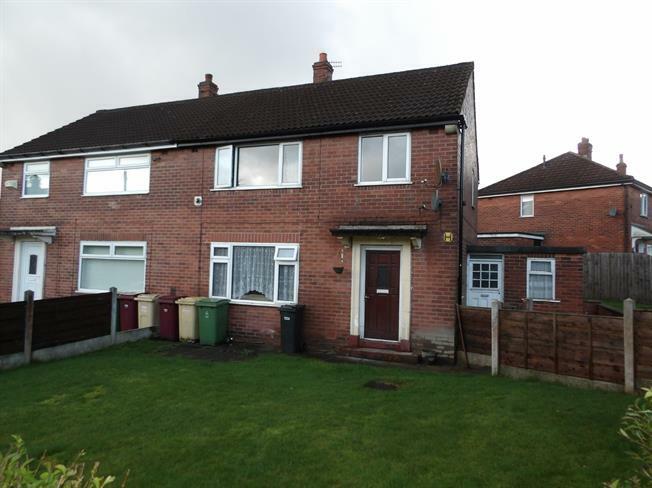 3 Bedroom Semi Detached House For Sale in Bolton for Asking Price £85,000. In need of some modernisation is this semi detached property located in Bolton. In brief the accommodation comprises an entrance hallway, lounge, dining room and kitchen to the ground floor with three good size bedrooms and a bathroom to the first floor further benefits to the property include double glazing, wall mounted gas heaters, driveway parking and additional storage with access to out houses. Internal inspection is recommended. Wooden front . Double glazed uPVC window facing the side. Gas fire, carpeted flooring, ceiling light. Double glazed uPVC window facing the front. Wood burner, carpeted flooring, ceiling light. Double glazed uPVC window facing the rear overlooking the garden. Vinyl flooring, tiled splashbacks, ceiling light. Fitted wall and base units, stainless steel sink with mixer tap with drainer, space for a freestanding gas oven, washing machine and a fridge/freezer. Double glazed uPVC window facing the rear. Gas fire, carpeted flooring, ceiling light. Double bedroom; double glazed uPVC window facing the front. Carpeted flooring, ceiling light. Double bedroom; double glazed uPVC window facing the rear. Gas fire, carpeted flooring, ceiling light. Single bedroom; double glazed uPVC window facing the front. Gas fire, carpeted flooring, ceiling light. Double glazed uPVC window with obscure glass facing the rear. Tiled flooring, tiled splashbacks, ceiling light. Low level WC, panelled bath, shower over bath, pedestal sink.